They dust off what's been long gone and perhaps forgotten and breathe new life into it with the enhancement of modern-day production. It was Great Britain that produced the majority of Heavy Metal icons – from the Founding Fathers Black Sabbath to the Welsh pioneers Budgie and the horde of NWOBHM classics. Germany also contributed heavily to the genre with its monumental Teutonic sound. However, nowadays it sounds as if Scandinavia is a place to be and not only if you're a Black Metal-oriented, corpse paint fanatic. 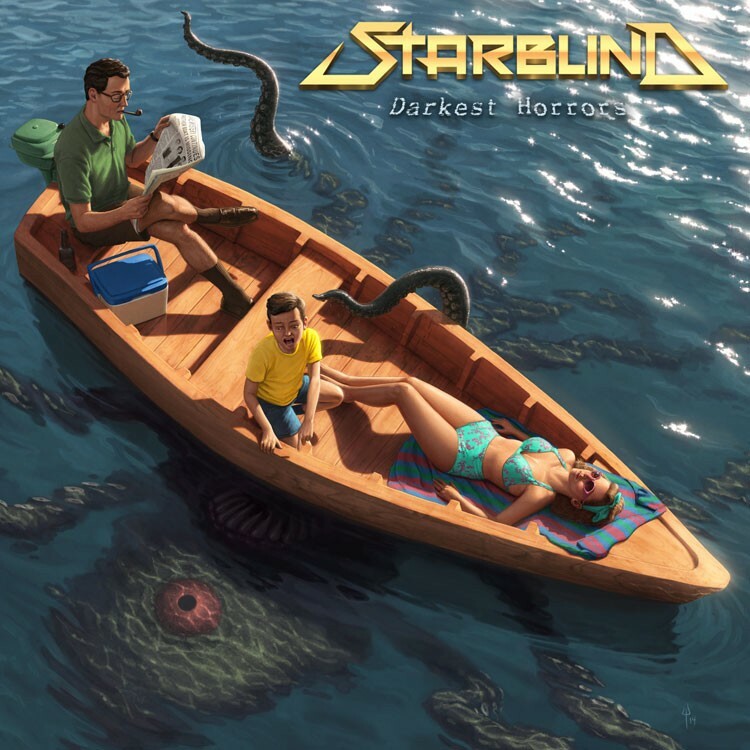 For every "true" denim-and-leather-clad, motorbike-riding, beer-drinking Metalhead, there's now a growing amount of classic-sounding Scandinavian Metal; the debut album, 'Darkest Horrors', from Sweden's Starblind's being one of its representatives. The first track 'Ascendancy' begins with a low bass thrum that smoothly morphs into a sharp guitar riff – there is no doubt now about Starblind being faithful disciples of Heavy Metal tradition. Their music follows the footsteps of the genre's greats from Dio to Manowar and... well ...any classic Power/Heavy Metal band you could think of! 'Blood In The Night' is a raw Metal gallop with some Accept-esque elements (think mass choir background parts), that contrast with its slow, monumental follow-up 'Crystal Tears'; the furious guitar interludes of the latter being again showing the Speed/Power-tinged heritage of 1980s Metal. These echoes are to be heard quite frequently during the latter half (a fine example of this is the extraordinary soloing in 'The Reckoning' or the massive sound of 'I Stand Alone'). On the other side of the spectrum, there's also the Iron Maiden-infused 'At The Mountain Of Madness' (with lead singer Mike Stark doing his best Bruce Dickinson impersonation) and the epic, eight minute long Gloomy Metal suite 'Temple Of Set'. While there's no reinvention of the wheel on '...Horrors', it's obvious Starblind have no intention of their name being associated with anything revelatory music-wise. It's just the opposite, as they dust off what's been long gone and perhaps forgotten and breathe new life into it with the enhancement of modern-day production. And while their combination of raw Metal power and melody is nothing new, it may bring a few kids to that Classic Metal sound and make their moms and dads remember the days of patched denim jackets and post-head-banging soreness in the neck. Either way, every Metalhead will tell you can never have too many albums to pump your fist and bang your head to. 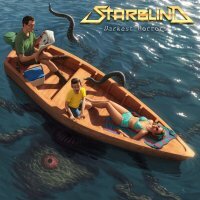 Starblind's 'Darkest Horrors' being fine for both – and it's a very enjoyable listening as well.